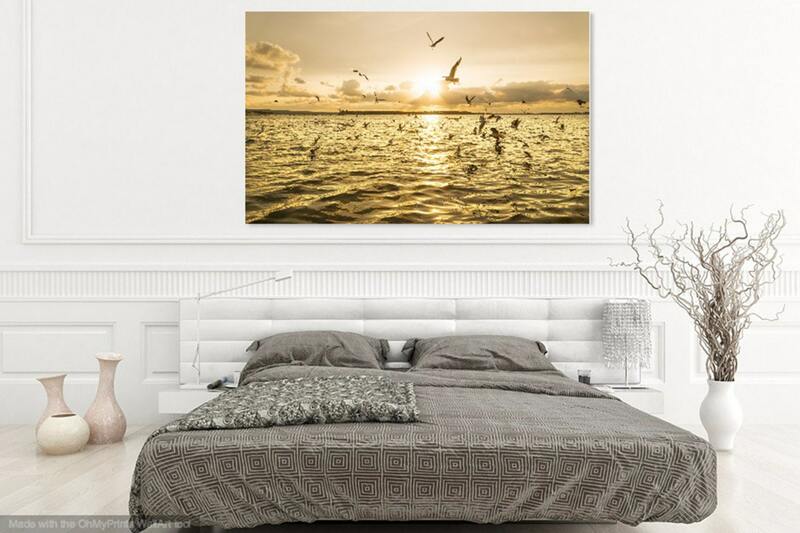 SEAGULL SUNSET. 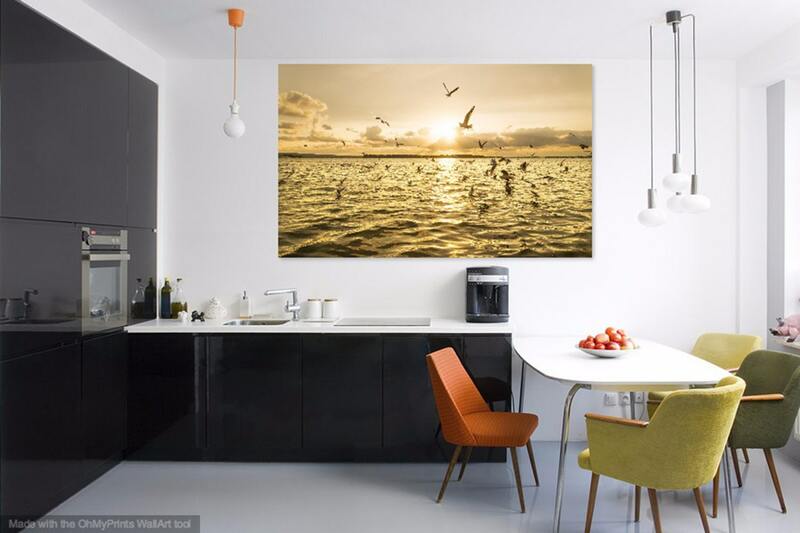 Pool Harbour Print, Dorset Picture, Seascape, Sunset print, Limited edition Print, Photographic Print. 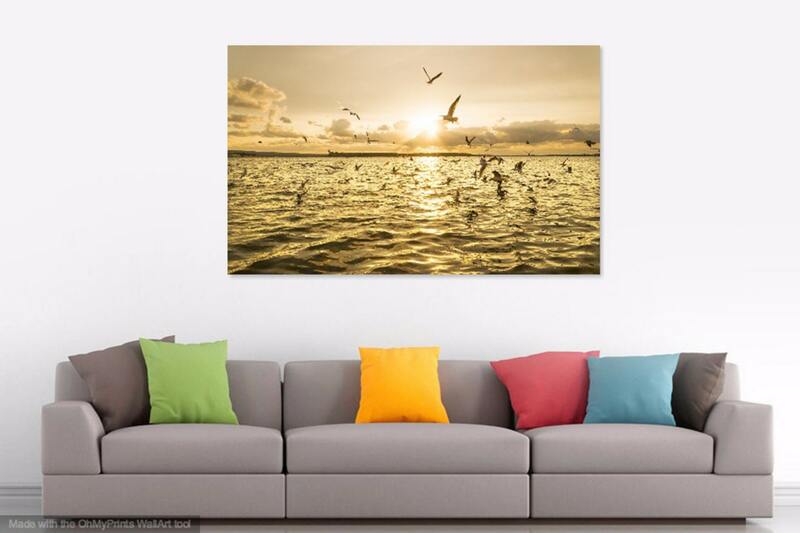 A large colour print of a flock of seagulls hovering above the sea at sunset. Brownsea island is visible in the backround. 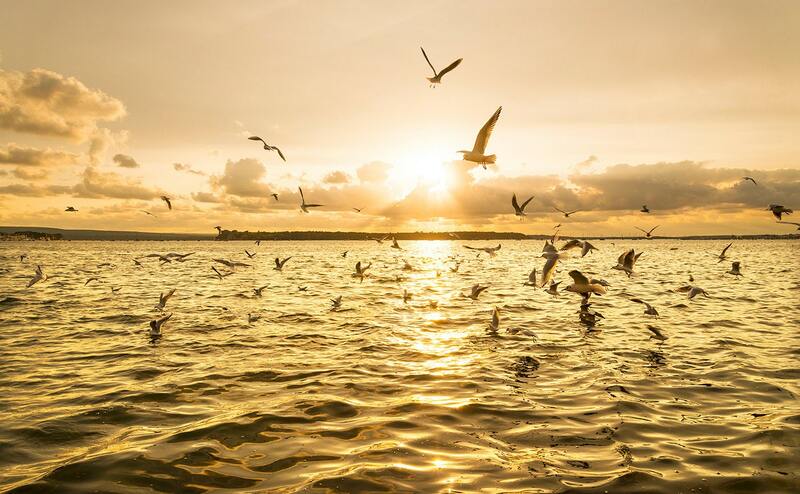 I took the picture at Poole harbour in Dorset UK which happens to be the second largest natural harbour in the world. 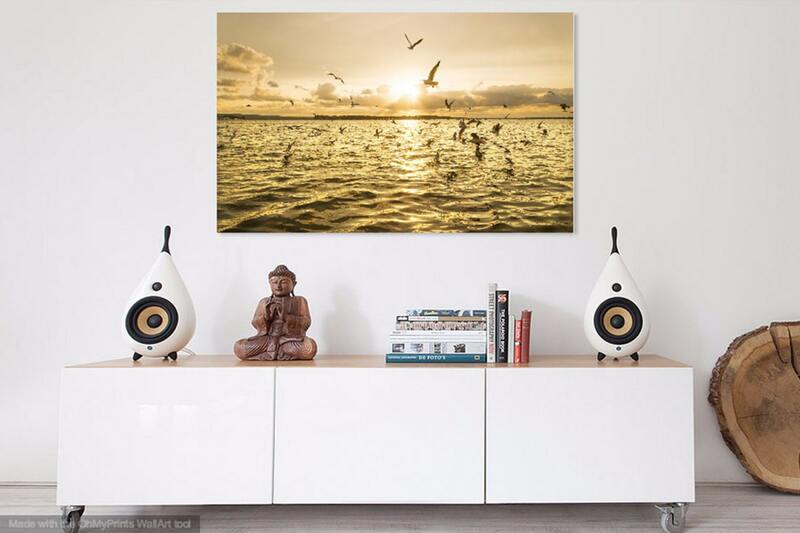 This print looks fantastic as a large print on the wall at home or at the workplace !